You Have Received 1 Ticket In The Draw. 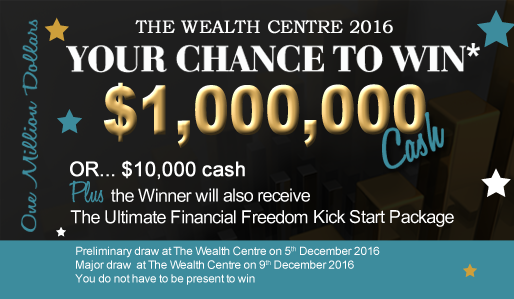 To find out more about The Wealth Centre click on the button below. At The Wealth Centre We'll Get Your Finances In Order And Keep Them There.